Born in Paide, Estonia in 1935, Pärt's musical studies began in 1954 at the Tallinn Music Middle School, interrupted less than a year later while he fulfilled his National Service obligation as oboist and side-drummer in an army band. He returned to Middle School for a year before advancing to the Tallinn Conservatory in 1957 where his composition teacher was Professor Heino Eller. Pärt started work as a recording engineer with Estonian Radio, wrote music for the stage and received numerous commisions for film scores so that, by the time he graduated from the Conservatory in 1963, he could already be considered a professional composer. A year before leaving, he won first prize in the All-Union Young Composers' Competition for a children's cantata, Our Garden, and an oratorio, Stride of The World. Living in the old Soviet Union, Pärt had little access to what was happening in contemporary Western music but, despite such isolation, the early 1960s in Estonia saw many new methods of composition being brought into use and Pärt was at the fore-front; his Nekrolog of 1960 was the first Estonian composition to employ serial technique. He continued with serialism through to the mid 60s in pieces such as the 1st and 2nd Symphonies and Perpetuum Mobile, but ultimately tired of its rigours and moved on to experiment, in works such as Collage on B-A-C-H, with collage techniques. Official judgement of Pärt's music veered between extremes, with certain works being praised while others, for example the Credo of 1968, were banned. This would prove to be the last of his collage pieces and after its composition, Pärt chose to enter the first of several periods of contemplative silence, also using the time to study French and Franco-Flemish choral part music from the 14th to 16th centuries – Machaut, Ockeghem, Obrecht, Josquin. At the very beginning of the '70's, he wrote a few transitional compositions in the spirit of early European polyphony, the 3rd Symphony of 1971 being an example: "a joyous piece of music" but not yet "the end of my despair and search." Pärt turned again to self-imposed silence, during which time he delved back through the medievalism of his 3rd Symphony and through plainchant to the very dawn of musical invention. He re-emerged in 1976 after a transformation so radical as to make his previous music almost unrecognisable as that of same composer. The technique he invented, or discovered, and to which he has remained loyal, practically without exception, he calls tintinnabuli (from the Latin, little bells), which he describes thus: "I have discovered that it is enough when a single note is beautifully played. This one note, or a silent beat, or a moment of silence, comforts me. I work with very few elements – with one voice, two voices. I build with primitive materials – with the triad, with one specific tonality. The three notes of a triad are like bells and that is why I call it tintinnabulation." The basic guiding principle behind tintinnabulation of composing two simultaneous voices as one line – one voice moving stepwise from and to a central pitch, first up then down, and the other sounding the notes of the triad – made its first public appearance in the short piano piece, Für Alina. While typically in tintinnabuli the melodic voice is based on an abstract procedure or derived from text, here the melody is freely composed, but with the two voices irrevocably joined according to the tintinnabuli principle. The right hand plays notes from the scale of B minor, while the left hand plays notes from the B minor triad. There is only one exception, marked by a single flower drawn in the score, where the left hand plays a new note – a C sharp. Having found his voice, there was a subsequent rush of new works and three of the 1977 pieces (Fratres, Cantus In Memoriam Benjamin Britten and Tabula Rasa) are still amongst his most highly regarded. As Pärt's music began to be performed in the west and he continued to struggle against Soviet officialdom, his frustration ultimately forced him, his wife Nora and their two sons, to emigrate in 1980. They never made it to their intended destination of Israel but, with the assistance of his publisher in the West, settled firstly in Vienna, where he took Austrian citizenship. One year later, with a scholarship from the German Academic Exchange, he moved to West Berlin where he still lives. Since leaving Estonia, Pärt has concentrated on setting religious texts for various forces. Large scale works include St. John Passion (1982), Te Deum (1984-86, rev. 1993) and Litany (1994). Works for SATB choir such as Magnificat (1989) and The Beatitudes (1990) have proved popular with choirs around the world and there is a growing ouvre of works for string orchestra and various chamber ensembles; numerous versions of Fratres (1976-date), Cantus In Memoriam Benjamin Britten (1977/80), Festina Lente (1988) and Siloun's Song (1991). Among his champions in the West have been Manfred Eicher's ECM Records who released the first recordings of Pärt's music outside the Soviet bloc, Paul Hillier's Hilliard Ensemble (and laterly Theatre of Voices) who have premiered several of the vocal works and Neeme Järvi, a long time collaborator of Pärt who conducted the premiere of Credo in Tallinn in 1968 and has, as well as recording the tintinnabuli pieces, introduced through performances and recordings, Pärt's earlier compositions. Pärt's achievements were honoured in his 61st year by his election to the American Academy of Arts and Letters. 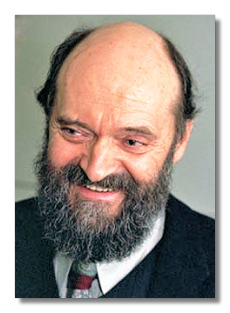 For an in-depth study of Pärt's music, refer to Paul Hillier's book Arvo Pärt in the Oxford University Press "Oxford Studies of Composers" series (published May 1997) ~ Doug Maskew, Copyright © 1997.